Research carried out by Chinese firewall monitoring website GreatFire has found that VyprVPN offers the fastest VPN speeds in China. With news that China is cracking down on homegrown VPN services, such as the recent closure of GreenVPN users in China have been scrambling to find alternatives. It comes as no surprise that Chinese authorities would target Chinese based providers which leaves those in China with no other choice but to look overseas for providers that offer servers that work in China. 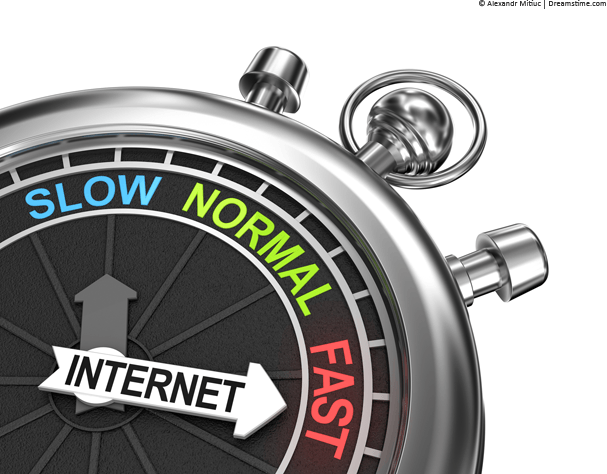 This week GreatFire announced that VyprVPN offers the fastest speeds for users based in China. 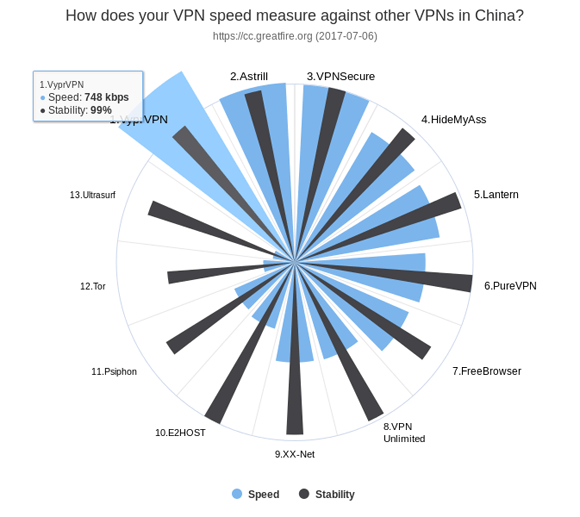 How does your VPN speed measure against other VPNs in China? Comparing results from 13 different providers, some well-known and others less so, GreatFire was able to deduce that the fastest VPN speeds were offered by VyprVPN. Speeds of 748 kbps were recorded with a stability rating of 99%. GreatFire tested stability by downloading a selection of images and then calculating the amount that completed within 40 seconds. Any that took over the 40 second limit would be classed as a fail and then a percentage was worked out from there. A 99% stability rating shows that the service is highly reliable and with speeds of 748 kbps it is clear that VyprVPN is highly suited to being used in China. Back in 2014, VyprVPN launched a new VPN protocol based on OpenVPN. The protocol named Chameleon offers disguised headers which makes it almost impossible for the Chinese authorities to determine that a VPN is being used. The result is censorship free access to the internet in China. The GreatFire results don’t go into too much detail about what protocols were used in their testing but it seems likely that Chameleon was used which has resulted in such impressive speed and stability results. Censorship and VPN blocking is always going to be a cat and mouse game in China but with the closure of local VPN services users are desperate to find a replacement. Findings from GreatFire suggest that VyprVPN is the best option for users in China who want to bypass censorship and access a restriction free internet. Users interested in signing up to the service can pay via Paypal, Credit Card or Alipay, just click the special Chinese VyprVPN link below. While the report highlights a few providers that work well and those that work less well in China it could have gone further testing a larger range of providers. In our own recent tests, we found VPN.ac to work well in China. Being able to access the internet via servers in Hong Kong while in Shenzhen. So while Chinese users were clearly dismayed at the closure of GreenVPN it is clear that there are still alternatives available.